REVIEW – Lions, tigers and bears. Flying cows, broomsticks and monkeys. Ruby slippers, emerald cities and yellow roads. Oh my! 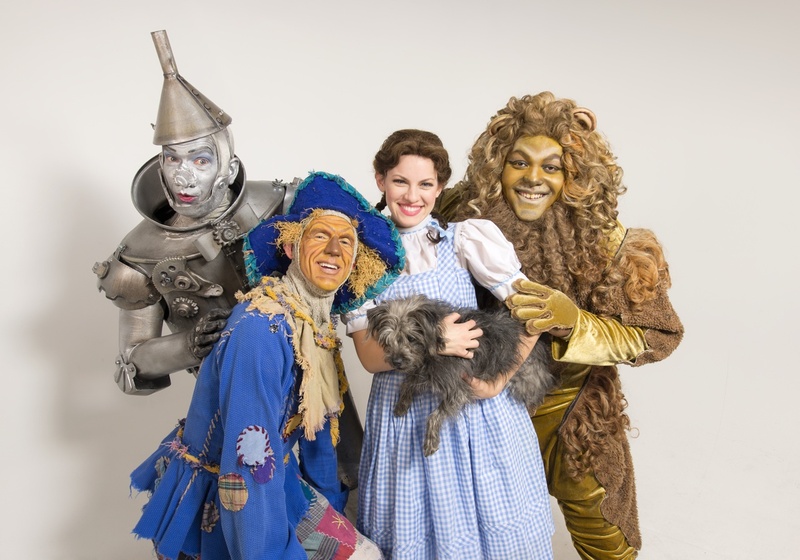 Tuacahn’s 2014 production of “The Wizard of Oz” is a high-adventure, comedy extravaganza that takes the audience on a twisting ride from Kansas to Oz and back. Written in 1900 by L. Frank Baum and originally titled “The Wonderful Wizard of Oz,” the subsequent Broadway musical (1902 ) and the Metro-Goldwn-Mayer movie adaptation (1939) dropped “wonderful” from the title. But with the addition of “wonderful” or not, the classic tale remains to this day one of the most widely recognized and best-known stories in American culture. Indeed the movie is a quintessential holiday must-see for many. The story follows Dorothy, an adolescent girl growing up on a farm in Kansas whose only friend – according to her – is her dog Toto. Dorothy, like any teenage girl, feels lonely and misunderstood, especially after a nasty encounter with her mean neighbor Miss Gulch, and longs for something beyond the simple life she shares with her Uncle Henry, Aunt Em and a crew of farmhands. Dorothy’s wishes to go far away to a place where things surely must be better are perfectly expressed in the iconic song “Somewhere Over the Rainbow,” which was almost cut from the movie (if you can believe that) because of length. Making her Tuacahn debut as Dorothy, Kari Yancy, stepped into the ruby slippers with a perfect fit. Her stage presence and genuine concern for Toto made her character believable and while her voice didn’t have the smooth velvety quality of Judy Garland – the actress who played Dorothy in the original film – she held her own, belting out the show’s most famous tune with clarity and control. Dorothy’s misadventures begin when she and Toto are caught up in a tornado and whisked, house and all, into the whirling dust devil finally landing in Munchkinland and on top of a wicked witch. The Twister scene is where Tuacahn’s staging chops really shone as a giant cyclone graced the stage, a life-sized (but not real) cow went flying through the sky, and the dull bleak landscape of the Kansas plains was transformed into the vibrant land of the Munchkins in Oz. In Tuacahn’s Oz, Dorothy is greeted by an adorable children’s cast of Munchkins singing and dancing in jubilance that their new heroine has killed the Wicked Witch of the East. These pint-sized thespians were definite scene stealers with their colorful costumes and angelic voices. My personal favorites, the young boys of the lollipop guild, who managed to turn their 15 seconds of song into a laughter-filled moment to be remembered. The entrance of Glinda the Good Witch of the North in a pink “bubble,” Dorothy’s surreptitious donning of the scarlet slippers and the kaleidoscopically clad Munchkins created a scene that played out on stage with all the technicolor of the MGM movie. But, though Dorothy is warmly welcomed to Munchkinland, she already starts to feel homesick asking Glinda for a way home. The cotton-candy good witch played by Annie Ramsey Lewis – a Tuacahn stage veteran with past roles in “Grease,” “Little Mermaid,” and “Oklahoma” – tells Dorothy she must visit the Wizard of Oz to find her way home. Dorothy sets off on a journey to find the Emerald City and the so-called “wonderful wizard” by following the yellow brick road. This is one spot where I felt the production was lacking. The yellow brick road, by many accounts, should play almost as big of a role as the characters and yet we only see, and barely see at that, a small stretch of lighted yellow road just in front of the first row of seats. With the incredible effects and staging that Tuacahn is famous for I was disappointed to see, or not see rather, such a diminished path for Dorothy and her friends to take. On the other hand, the artistic choice did allow for more crowd interaction as the yellow brick road, though admittedly not very yellow (yellow lights shone down), climbed its way up the amphitheater stairs and across the rows adding dimension and depth not attainable had they stayed on stage. For me, the show got really entertaining as Dorothy met her three famous companions; the brainless Scarecrow, the heartless Tin woodman and the Cowardly Lion played respectively by Mark Reis, Todd Nielson and Trevor Dion Nicholas. These three characters deftly tumbled, creaked, and cowered across the land of Oz and provided the biggest laughs (Nicholas does a spot on impersonation of a famous Disney voice that is an absolute riot) and gasps (the audience audibly groaned as Reis proved to be a veritable Gumby). But even with her three amiable companions the journey is not always smooth for Dorothy as she is constantly thwarted by the Wicked Witch of the West in her attempts to reach the Emerald City and ultimately Kansas. I would be remiss without mentioning the thrilling Tuacahn debut of Mary Gutzi as the Witch who was at once terrifying and hilarious as well as gravity defying as she flew over the audience, menacingly cackling and shooting sparks. But despite the aid of her poisoned poppies, Winkies, Jitterbugs and Flying Monkeys to retrieve the ruby slippers and thus destroy Dorothy, the classic tale ends in a puddle for the evil Witch. My only strong critique of the otherwise fabulous production is the adult ensemble. As the second act opens and the awesome foursome arrive in the Emerald City they are awash in a sea of green as they are welcomed into the Wizard’s world but for all the grandeur of the city, I couldn’t get past the labored dance numbers (to be fair I have 20 years dance training to jade me). Though there were stellar dancers among the cast not everyone was up to par and as a result both the Emerald City number and the Jitterbug felt stilted and slightly lackluster. The saving grace of the Emerald City was the Wonderful Wizard himself, played with beautiful cunning and humor by Bart Williams, who was every bit the daunting and bumbling character he should be. While some reviewers have complained that the show is too long, having tried to stay true to its stage and film roots, I actually felt that some of the ending scenes seemed rushed and all too soon the Wicked Witch was melting and Dorothy was clicking her heels home. 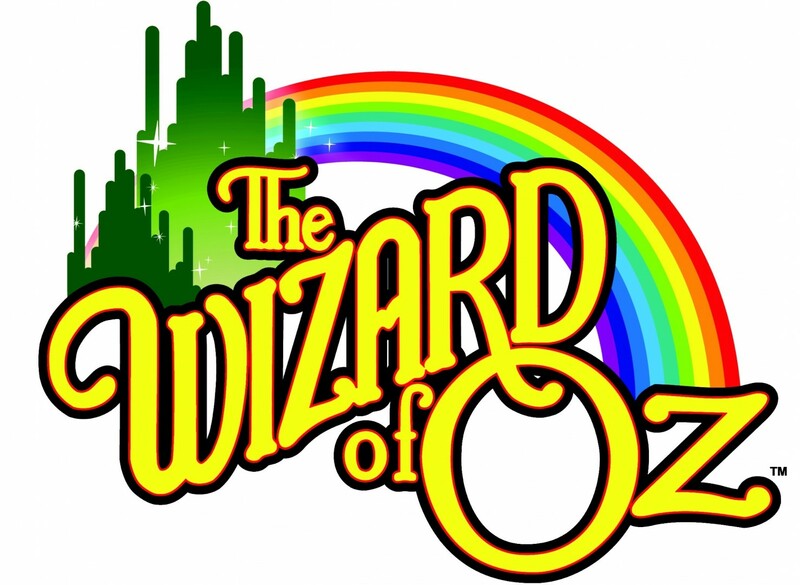 Overall, I think the talented group of lead actors, spectacular staging, lovable cast of Munchkins and one well behaved “little dog too,” combined to create a memorable evening of entertainment for both the young and the young at heart that put the “wonderful” back in Oz. 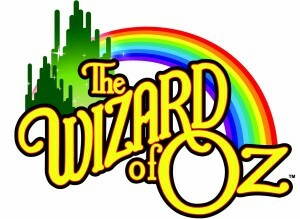 “The Wizard of Oz,” will show at Tuacahn through October 17. Our family and many of our friends are very disappointed with Tuacahn this year. Many of the employees are rude, especially the snack bar. They don’t seem to care anymore. One friend even mentioned some guy got on stage and thanked everyone for spending $3 for a water bottle that costs them 50 cents. Talk about rubbing it in! My wife’s mother bought season tickets for us a long time ago, only to learn they now advertise all sorts of low prices. They wish they had waited. Tuacahn seems to be cocky and not really care about customers.